This evaluation examined UNDP's contributions to national development goals, its relevance and strategic position within the country during the period between 2011 and 2018. It provides a set of forward-looking recommendations, with a view to supporting the country office and its partners in the continuous efforts to improve the country programme by learning from the achievements and challenges. The ADR for Chile covers two programmatic periods form 2001 to 2003 extended to 2006, and from 2007 to 2010. The evaluation showed that UNDP programming is rightly aligned to the priorities of the country and was able to respond to the country development challenges. Although UNDP in Chile was able to achieve and sustain its objectives in supporting the consolidation of democracy, it was not as successful in helping to strengthen national decentralization efforts. 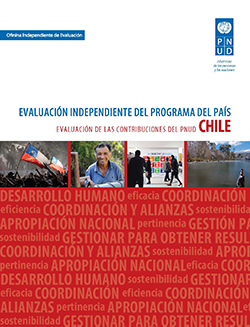 The National Human Development Report (NHDR) is among the most visible products, and has contributed significantly to the strategic positioning of UNDP in Chile. It is well evidenced that the NHDR has been mainstreamed in the Chilean public policy formulation. 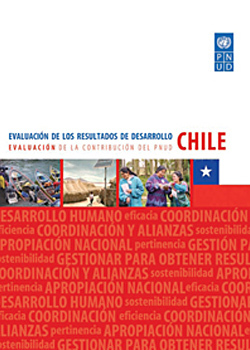 The evaluation also concluded that UNDP in Chile has transitioned from playing a project implementation role to a facilitator of dialogues, and advisor in evaluation and public policy.